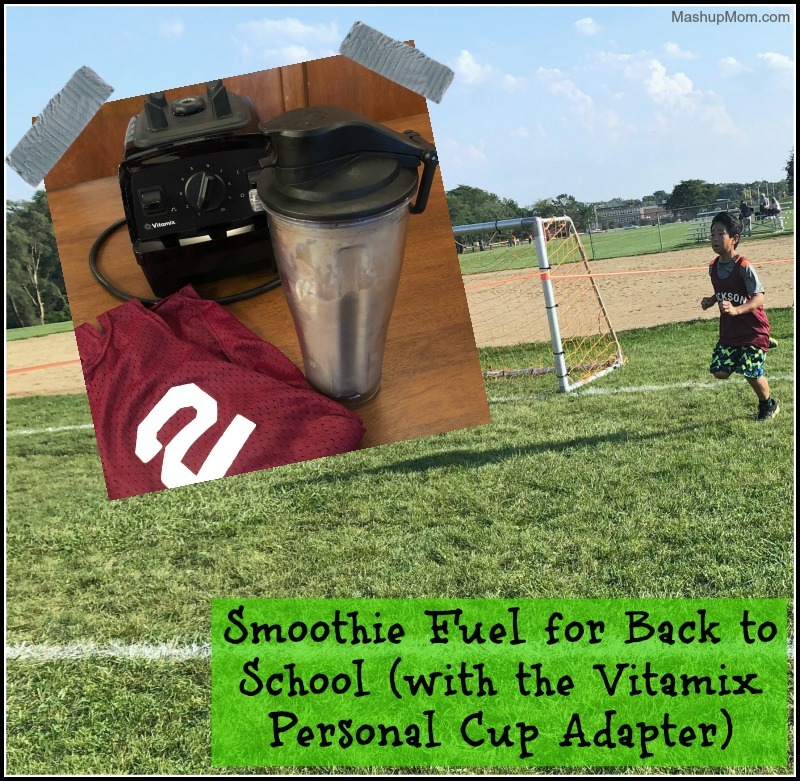 I received the Vitamix Personal Cup Adapter for free to review from Moms Meet (momsmeet.com). Compensation for this post was provided; however, all opinions here are my own. Middle School Guy is literally hitting his stride back at school now, as he’s been competing in cross country this year. This means that he needs even more refueling than usual — and, of course, cross country plus all of the kids’ other activities also means that we’re all on the go, all the time. 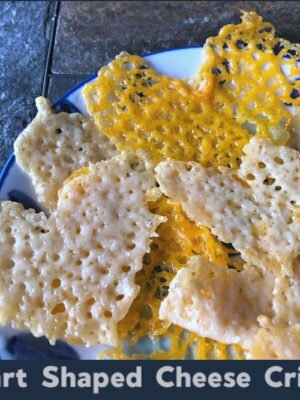 Remember a few months ago I told you guys about this ten minute tomato hummus soup you can make in your Vitamix, and talked about how you can use a Vitamix for so much more than smoothies? Welllll, of course you can use them for smoothies, too. 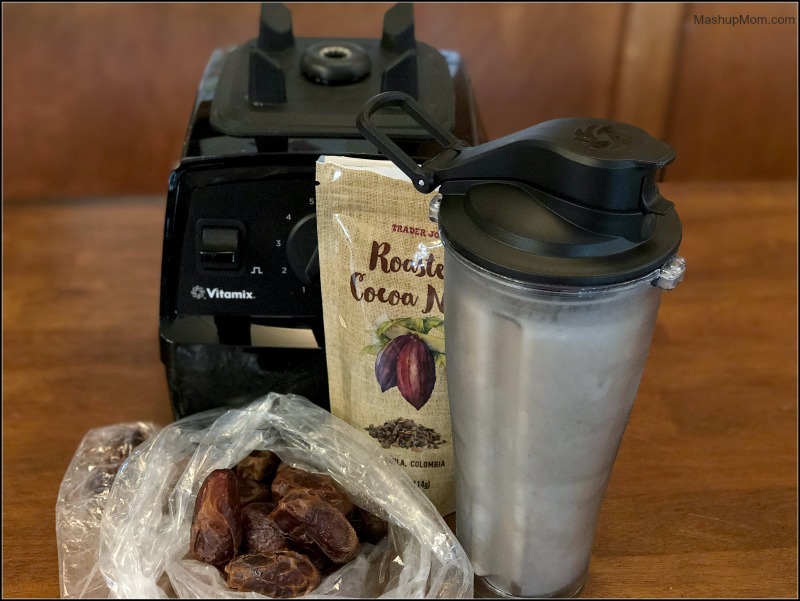 Here I made up a chocolate peanut butter smoothie straight in the Vitamix Personal Cup Adapter using my Vitamix E310 Explorian Series Blender. This makes for such an easy grab & go option: Blending smoothies straight in the personal cup only dirties one container, and allows you to just snap on the lid and go! Look how handy this is: You just put your ingredients in the cup in the recommended order, screw the adapter onto the top, and flip it over to attach to your Vitamix base. 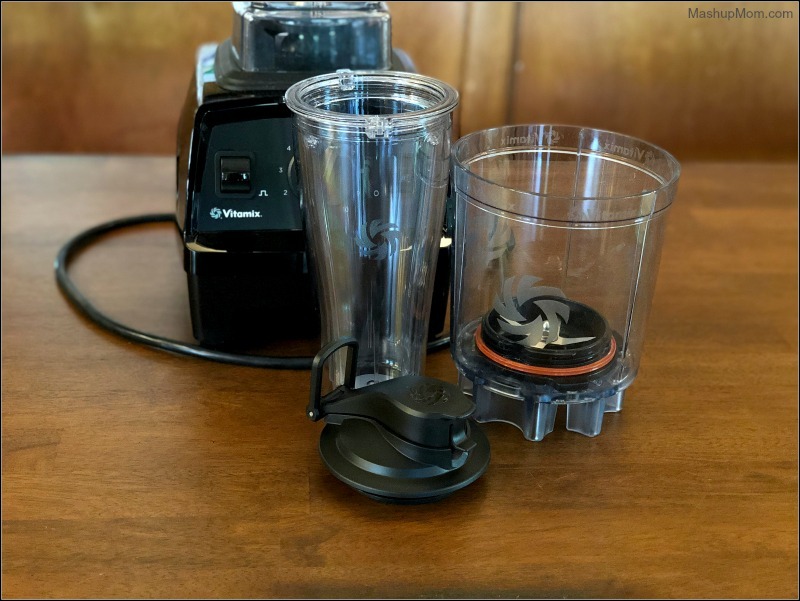 When you’re done blending, remove from the Vitamix base, unscrew the adapter, and put the lid straight onto the personal cup. Bam: You’re good to go! This easy-clean, spill-proof personal cup works very well and is great for both on the go and portion control (since in the bigger blender, it’s hard to see how much you’re really making when you are creating smoothies on the fly). 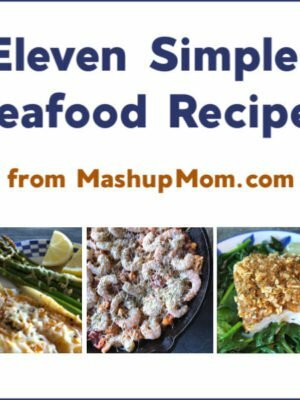 As long as you layer in your ingredients in the recommended order, they blend perfectly. So what kind of smoothie are we making today? 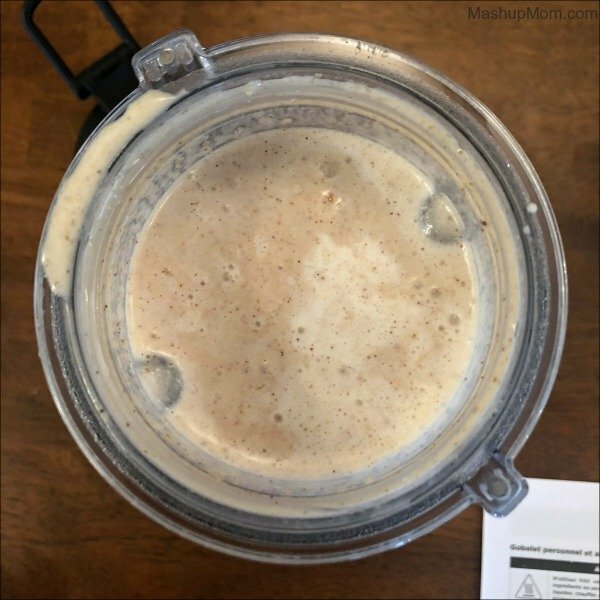 I do also like to use the Vitamix to make my own nut butters — but I just threw peanuts (and a little premade peanut butter) straight into today’s smoothie for a super-fresh taste, rather than first blending them separately into peanut butter and then adding. Inspired by nut butters, today we’re doing a back to school, on the go, chocolate peanut butter smoothie. Attach the adapter to the Personal Cup, flip it over, and secure it onto the Vitamix base. Select the lowest speed. Start the mixer, then slowly increase the speed to its highest setting. 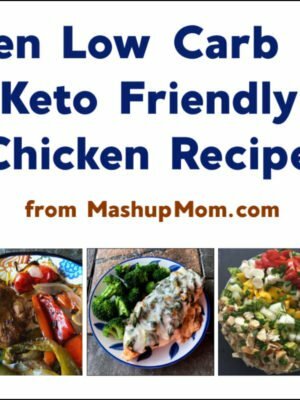 Blend for 40 seconds, then enjoy! 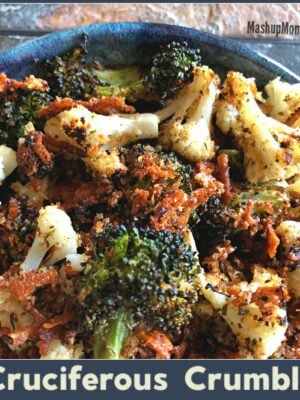 How easy (and delicious) is that? In less than five minutes you can be enjoying your own chocolate peanut butter smoothie. 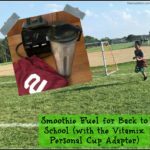 Want to try the Vitamix Personal Cup Adapter? If you’re planning to pick up your own Vitamix to save you time in whipping up your own quick on-the-go creations, right now you can save 15% on the Personal Cup Adapter with the purchase of a Classic Series Vitamix blender! Just use promo code MMVITA2018 on the Vitamix site through December 31, 2018. Sonoma, Sur La Table, Target, and Amazon. 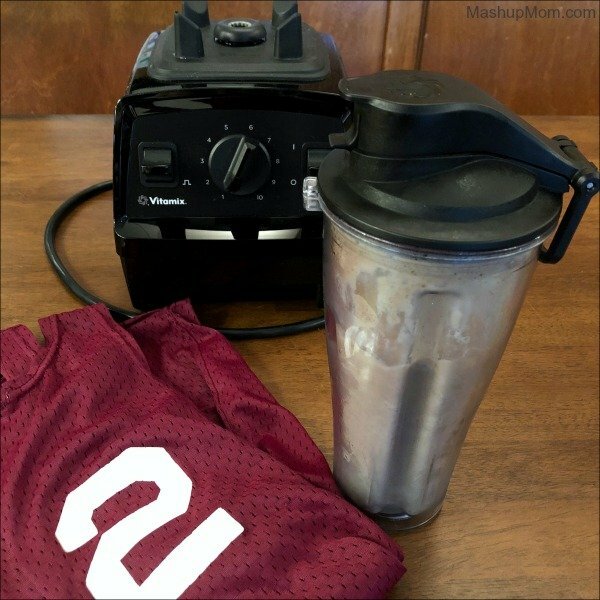 To find a Vitamix Personal Cup Adapter in your area, visit vitamix.com/us/en_us/Where-To-Buy for the full list of locations. Inspired by nut butters, today we're doing a back to school, on the go, chocolate peanut butter smoothie.